There is no easier, more effective way to change the mood of a room than with lighting. 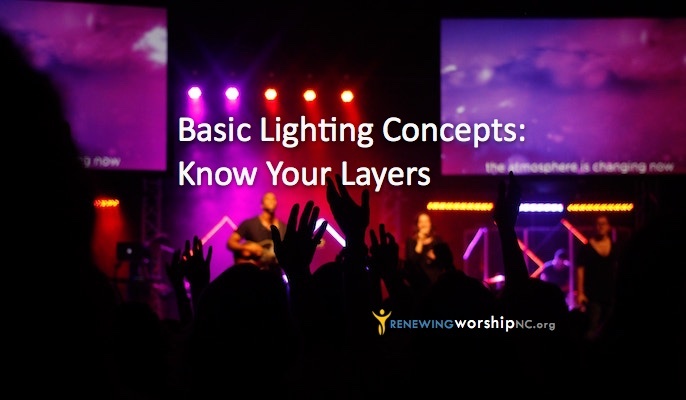 (Check out last week’s post on Church Stage Design Ideas and the post on church lighting.) 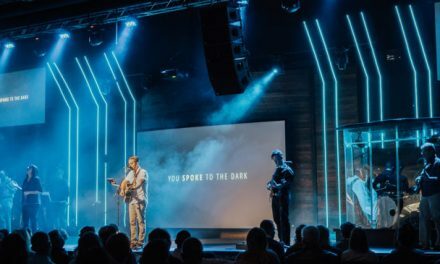 Typically, to accomplish a great “environment” in a room required a fairly extensive lighting system, but a new trend in the worship market has put this goal within reach of many churches and ministries. The trend is Environmental Projection. Environmental Projection consists of one or more projectors used to project a large image onto a wall rather than onto a screen. Now some of you are thinking that you have done that, but we’re not talking about projecting onto the wall in the traditional sense. With environmental projection, we’re using the ENTIRE wall as a screen. Of course you will not get the same kind of pop with an image that big and don’t even think about turning the house lights on, but remember we’re not using the projection system as we normally would. In fact, you shouldn’t really even think about it as projection, but more as effect lighting. The purpose of environmental projection is to “paint the wall”, to change the environment. 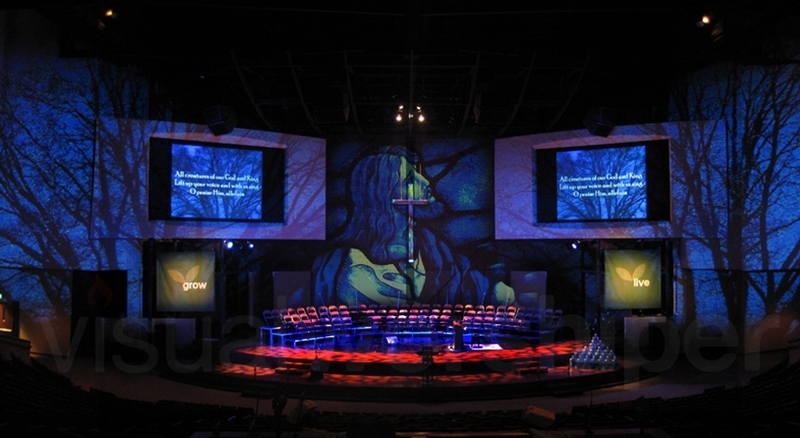 There are several things to consider when building an environmental projection system. Obviously a flat wall would be ideal. Also, the color of the wall will affect things; you will have to play with the various images to determine what looks best in your particular room. You also have to think about how much of the room you want to fill. The desired coverage area will determine the number of projectors that will be required and you want to try to match the brightness level of all projectors if possible. A typical environmental projection setup includes three projectors working together, however again, you could use fewer or more, depending on the coverage area. It’s important to clarify what environmental projection is and what it is not. 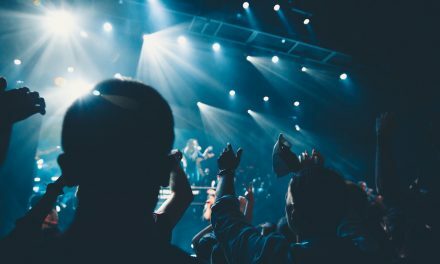 For instance, it is an inexpensive way to achieve a look that you may more typically use intelligent lighting for, but it is not a substitute for proper stage lighting. It is a good way to extend the look of your stage out into the room but it is not going to have the same kind of vibrant punch you’ll get from a smaller image projected onto a screen. It compliments the main screens, but it certainly is not going to replace them. And the house lights remain very low in order to allow the image to shine through. There are lots of things you can do with environmental projection to compliment, add to, or even completely change the look of your room…. It was refreshing to break out of the mold of white, static lighting, and bold, Arial 20-point font, center justified for every song. I experimented with changing backgrounds and colors during appropriate times during a song, instead of just leaving it static. Lighting colors and mood followed the song and worship background like a melody flowing out of the music. This opened something in me that I hadn’t really thought of before – visual worship. Diving in to the concept of visual worship led me to be fascinated by old church buildings and cathedrals where I saw something interesting. The Church used to be REALLY good at using visuals in worship spaces! Stained glass, mosaic, tapestries, paint – they ALL told stories of God and helped the Church worship…visually. However, every time I would look out at our sanctuary walls; they were bland. White. Void. You might be able to relate. As I dove deeper into learning about worship spaces and the Church; it was just fascinating to realize that so many Protestant churches built in the last couple of centuries in the United States ARE these blank, white canvases. To avoid the appearance of Roman Catholicism and the danger of actually worshiping the images instead of God, the Protestant church stripped all the imagery out of the worship spaces and…well here we are! Given the shift back to visuals being in the Church, I wondered if there was a way to do this dynamically, and in a fresh way. We had some projectors left over after a children’s event; and I was curious. What would happen if we simply projected images onto our white walls? After making the projection ‘fit’ onto our walls, I called the leadership into the sanctuary, played a song over the PA, and projected visuals all across our sanctuary that went with the song. Afterward the executive pastor asked how soon we could install this permanently.